We are delighted to showcase some of the work we have been beavering away on recently. We were recently commissioned by the great team behind the Strandhill Community Development Association to help create and deliver a tourism marketing campaign to promote Strandhill, Co Sligo. It didn’t take long for us to agree to that one. Even better, the team working on it is a roll call of the best creatives we could want to collaborate with. It has been a joy to work with Denise Rushe of Starling & Co, Allan Mulrooney of GoStrandhill, Peter Clyne on video and Peter Martin on photography. Add into the mix the best summer in forty years and you get an opportunity that doesn’t land in your inbox too frequently. We have been working on lots of elements on the campaign including a social media campaign around the #strandhillmoments hashtag, commissioning a photo and video media bank, lining up influencer / journalist fam trips and delivering some training and mentoring. Our goals for this campaign are to attract more families to holiday on the Strandhill and Coolera Peninsula, and to encourage return visits by extending the tourism season into the off-season months of September and October. 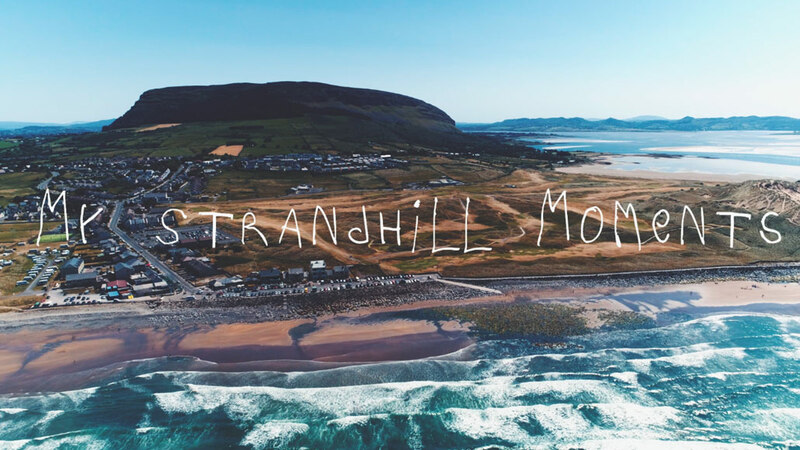 #StrandhillMoments – Your Next Family Adventure Awaits You in Strandhill. Co. Sligo from GoStrandhill on Vimeo. This week we launched the first of four videos for the campaign. This one is an audience-specific one targeting ‘connected families’. Four-year-old Michael narrates the story of a special family holiday highlighting all there is to see and do in the vibrant surf village and peninsula along Ireland’s Wild Atlantic Way. A family trek up the Queen Maeve Walking Trail on Knocknarea, a drive out to Coney Island, a walk through the forest to the ‘secret beach’ at Killaspugbrone and surfing on Strandhill Beach, as well as watching the burning sun melt over the Atlantic at sunset, are all just some of the special ‘Strandhill Moments’ captured in the new promotional video. Since launching the video, it has been placed on The Journal, Irish Independent and been promoted far and wide by bloggers and influencers. To date, it has had over 100,000 views and it is still growing. For more information on family itineraries, see www.gostrandhill.com/family or follow @GoStrandhill on Twitter/Instagram. A huge thanks to Sinéad Maguire, David McCoy and the rest of the Strandhill Community Development Association for securing the funding for this project. Posted on July 19th, 2018.